10. You have naked windows in need of a little fabric or privacy. Teri designs custom window treatments and has access to the full line of Hunter Douglas and Graber shades and blinds. She is sure to find something to give your room a little zip! 9. You are completely stumped by what color to paint your walls, or you have chosen a horrible paint color in the not-so-distant past. Teri will save you time, money and frustration. 8. You need new furniture, art or accessories, and have no idea where to shop, how much furniture will fit in the room, what fabrics to choose or where to begin planning. Teri can create a floorplan for you, and she will even go shopping with you to find just the right finishing touches. 7. You like to do all the work on your home yourself, but you need a boost in the right direction. Teri loves working with do-it-yourselfers! 6. Your kitchen and/or bathroom are in desperate need of a makeover. 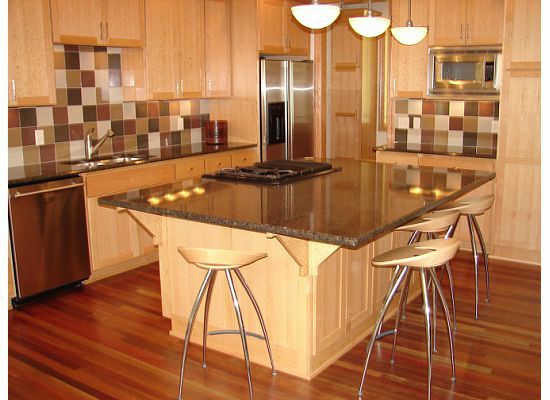 Whether the space simply needs a tile backsplash, new flooring, new countertops or a whole new look, Teri can help you design the space of your dreams. 4. You are building a home or starting a major remodeling project and you need guidance through the process. Teri can work with your builder, contractor or architect as a valuable part of the design team, or she can recommend contractors for your project. 3. You are a business owner moving to a new space or considering a remodeling project at your current location. Teri has the experience to help you make the most of your budget, increase employee productivity and create a space to reflect your professionalism. 2. You need some good sources for affordable accessories, artwork, area rugs, furniture or other finishing products. Working with Teri can actually save you money, and she will help you get the most bang for your design buck. She recently launched the Designer Discount Program, offering exclusive discounts on a variety of products and services, including general contracting, light fixtures, granite countertops, painting, home accessories and more. This Program is only available to Teri's clients, so be sure to call her today! 1. Teri's just a lot of fun to work with! Click here to learn more about the Real Cost of Hiring An Interior Designer, Teri's article on the Wisconsin Real Estate website. and Stillwater, Woodbury, Afton, Cottage Grove, St. Paul, and beyond in Minnesota. Available for online interior design services - ask about pricing!